Reasons why you should choose us to provide you with the services you need. 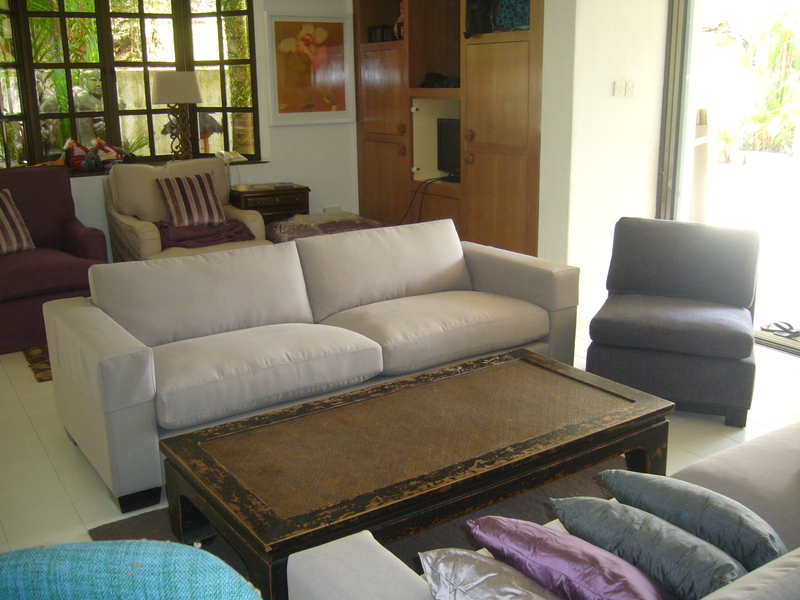 You will deal with only people who have many years of experience in the field of custom made designers sofas. Come and visit our office display room to design your perfect together. The reason why our direct Designer Sofas has become a name synonymous with quality, professionalism and after-sales peace of mind; it is because we will involved you in the entire process of the custom made new sofa. The Frame is made of the good quality seasoned hardwoods and plywoods (from indonesian) the sofa frame in Singapore. This is very important as we can keep control of the quality. Every piece of wood used is personally inspected by our sofa makers. The Fillings are supplied by one of the largest and best known foam manufacturers in Singapore and meet all the latest fire regulations, again no expense is spared in the quality. You may like to test the density of the custom made sofa at the middle stage of the process in your new custom made sofa. This is to ensure that the hardness or softness of the Sofa is exactly as you like. Most of the fabrics used are water Resistant treated and from Belgium. 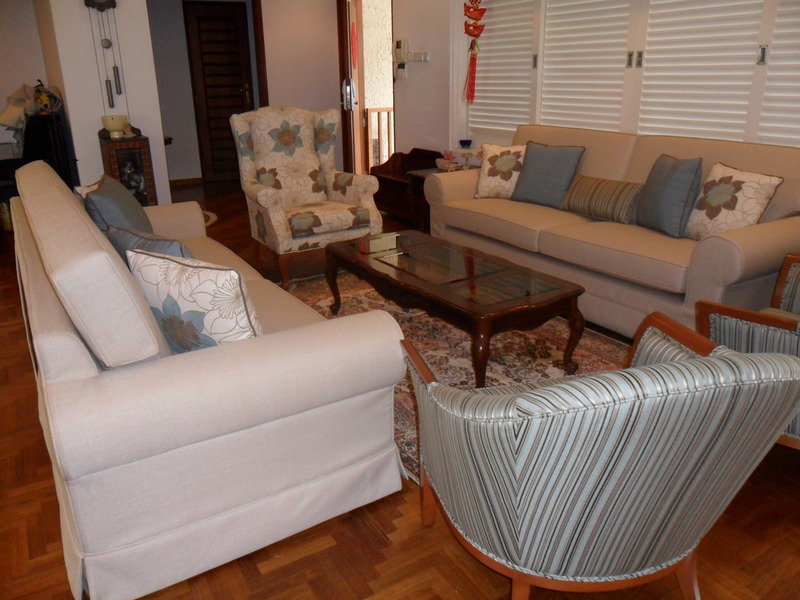 Fabrics are suitable for domestic use and are designed specifically for upholstery use. On request, you may like to select fabrics that is suitable for outdoor. We are in regular contact with our fabric suppliers to ensure that the latest fabric designs are with us for your benefit. In our display room you can choose from over 1000 fabrics. We will be able to assist you in making the best choice. The Price is direct to you from the Factory, cutting out the middle-man. We may not be the cheapest in town. However, the product that you will receive from us is of the utmost quality. No corners will be cut on product quality as part of our main business objective is your satisfaction with us. This makes sense as we rely mostly on your referrals. We will deliver to your home. Our lead time from order is around 6 to 8 weeks. During peak period like Christmas and during summer holidays. The lead time maybe extended. Our products are in our display room and on-line. 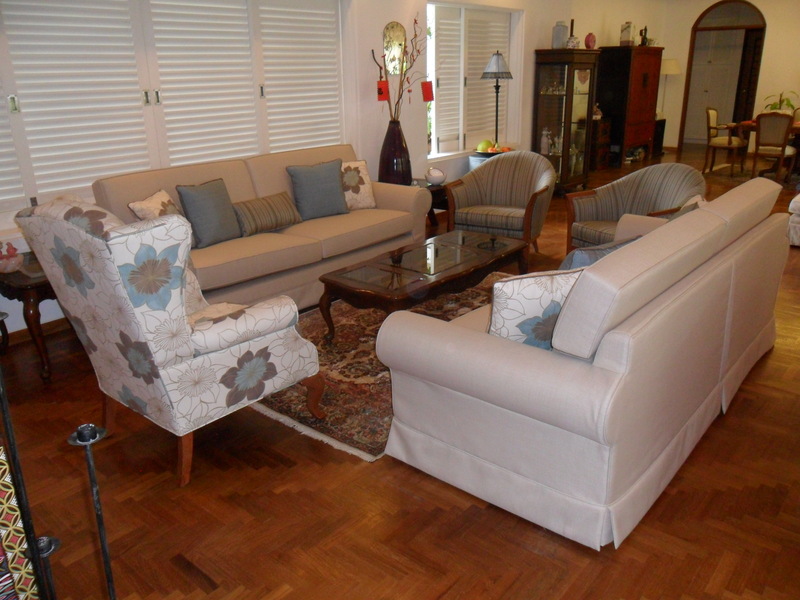 Hundreds of customers have benefited and enjoy the pleasure of a new customize sofa from us. Deal direct and save yourselves some money as well to invest in better quality Sofa from us.